What Is PRP, How is it Used, and Who in the NFL is Getting It? Knee injuries – In 2015, after suffering a knee injury, Matt Forte with the New York Jets had PRP injections to his right knee to help improve his healing outcome and speed up recovery. Sprains and strains – Troy Polamalu with the Pittsburgh Steelers used PRP therapy to help facilitate his recovery after a strained calf prevented him from performing at his expected level. Not only was he able to take the field during the Super Bowl following regenerative medicine treatments, but he was also able to intercept a 40-yard pass for a touchdown. Shoulder injuries – LaRon Landry of the Washington Redskins is another NFL athlete who used PRP therapy after he injured his shoulder and Achilles tendon. His orthopedic surgeon decided to use shockwave therapy combined with PRP treatments, which he credits for getting him back on the starting line-up for the Washington Redskins in less time. Spinal injuries – Indianapolis Colts player Peyton Manning used stem cells to help enhance his recovery after a neck injury. PRP can be combined with Stem Cell Therapy to improve orthopedic treatment outcomes. Fractures – Injured Dallas Cowboys wide receiver Dez Bryant received PRP injections after he fractured his foot. He credits the treatment for his successful recovery and the chance to return to the field sooner than anticipated. When any NFL player is injured, his first question is almost always, “How soon can I play again?” When Hines Ward of the Pittsburgh Steelers injured his knee, he looked to regenerative medicine in the form of platelet-rich plasma (PRP) therapy to help speed his recovery and get him ready to play in the Super Bowl that season. In the past, when a professional athlete sustained an injury, the traditional treatment route would involve surgery, followed by rehabilitation with physical therapy. Recovery times for sports-related injuries can vary, and, in some cases, be lengthy. Some NFL players can lose months or even a whole season of training and game time due to an injury. 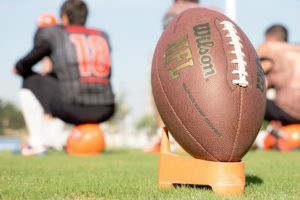 Fortunately, the latest innovations in regenerative medicine, like platelet-rich plasma (PRP), are changing the outcomes for injury recovery and can help injured NFL players return to the football field faster and with less risk of recurrent injuries. PRP or PLATELET-RICH PLASMA is a concentrated form of blood plasma from the patient’s own body (autologous). This platelet-rich plasma is packed with at least seven growth factors: D-epidermal growth factor, platelet-derived growth factor, transforming growth factor-beta, vascular endothelial growth factor (VEGF), fibroblast growth factor, insulin-like growth factor, and keratinocyte growth factor3. PRP can be used in conjunction with stem cell treatment to give a boost to stem cell processes, or it can be used as a stand-alone treatment. PRP acts as fuel for the stem cells. Sometimes, after a stem cell treatment Steven W. Meier, M.D. of Meier Orthopedic Sports Medicine will inject PRP at one month intervals to “recharge” the stem cells which can remain active for 8-12 months. Learn more about stem cells in regenerative medicine, visit WebMD.com. What to Expect During PRP Therapy? The patient’s own blood is drawn and spun in a centrifuge to separate the plasma. This plasma is now concentrated with platelets and injected into the injured joint or tendon. As a stand-alone treatment PRP can help patients who have had little success with more traditional forms of treatment for chronic joint pain or a recurring injury. A study published in the Orthopedic Journal of Sports Medicine found that PRP regenerative medicine therapy helped improve recovery time and outcomes for acute hamstring injuries in NFL players. As a real-life example, in 2011, Cleveland Browns player Peyton Hillis was ruled out to play for a week after he suffered a hamstring injury, but after receiving PRP treatments he was re-evaluated and declared well enough to play earlier than anticipated. How Does PRP Therapy Help Treat Orthopedic Injuries? With platelet-rich plasma therapy, the platelets and growth factors are injected into the injured area, enhancing not only the nutrients in the area but bolstering the body’s ability to heal. For instance, many football players suffer from Achilles tendonitis or patellar tendonitis in the knee. With continued training and game play, these injuries can become chronic and lead to microscopic tearing of the tendon and formation of scar tissue, if left untreated. Tendon injuries are difficult to treat and heal because of poor blood supply in the area. So, when there are microscopic tears or chronic scarring, the body has a difficult time repairing the damage. With regenerative medicine, like PRP therapy, the body gets a jumpstart on the healing process, which helps mitigate debilitating injury and/or scarring. Platelet-rich plasma therapy is an innovative technique, yet, the procedure itself can be completed in under an hour. Compared to a surgical procedure, the PRP technique is relatively simple. Once the blood sample has been processed for a higher concentration of growth factor-packed platelets, it’s injected at the site of the injury. Usually, it takes 3-5 PRP treatments to produce the most impressive outcomes. For most injuries, PRP therapy can help facilitate recovery in six weeks—which is much less than recovery times associated with surgical procedures or with typical physical therapy, which can require a year or more. 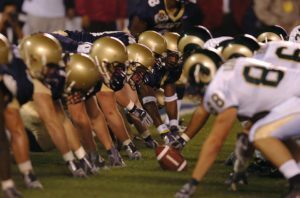 For NFL athletes looking for a quick return to the playing field, PRP therapy is certainly worth it. More and more professional athletes are looking to improve their recovery after sports injuries by receiving platelet-rich plasma injections. 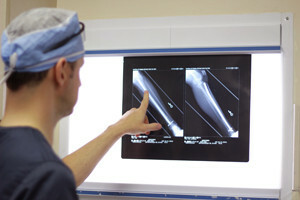 Beverly Hills orthopedic surgeon and regenerative medicine expert Steven W. Meier, M.D. and his team at Meier Orthopedic Sports Medicine (MOSM) offer the latest in regenerative medicine treatments to treat sports-related injuries that can help professional and non-professional athletes avoid potentially damaging (and invasive) surgery. To find out if your sports-related injury can be effectively treated with regenerative treatments, contact Meier Orthopedic Sports Medicine today to schedule a consultation.